How can you measure and assess executive functions? How can you improve executive functions? Executive functions are the set of cognitive skills necessary for controlling and self-regulating your behavior. Executive functions allow you to establish, maintain, supervise, correct, and carry out a plan of action. This set of cognitive functions make up part of our everyday lives, and help us successfully and efficiently get through daily activities. The term Executive Functions was proposed by Muriel Lezak in 1982. This group of cognitive skills are mostly outlined by the prefrontal structures in the brain. The prefrontal dorsolateral cortex, the prefrontal ventromedial cortex, the prefrontal orbitofrontal cortex, and the anterior cingulate cortex are the brain areas most related to executive functions. With the scientific advances over the past few years,you can get an estimation of the functional integrity of these structures by assessing executive functions. Executive functions can be trained and improved with practice and cognitive training. What cognitive skills make up our executive functions? Shifting: Ability to adapt your thoughts and behaviors to new, changing, and unexpected situations. Inhibition: Ability to control impulsive and automatic responses and generate responses using attention and reasoning. Updating: Ability to supervise behavior and ensure that you're properly carrying out the established plan of action. Planning: Ability to think about future events and mentally anticipate the correct way to carry out a task or reach a specific goal. Working Memory: Ability to temporarily store and handle information in order to do complex cognitive tasks. Decision Making: Ability to efficiently and thoughtfully choose an option among different alternatives. Problem Solving: Ability to come to a logical conclusion when considering an unknown. Executive functions play a role in almost every job or career that requires organization, planning, problem solving, decision making, or handling data. Any job, from working in a shop to open heart surgery, will use all of these cognitive skills. Executive functions also play a fundamental role when studying, because they are what makes it possible to control attention and concentrate during class and organize notes for an exam. You use your executive functions when preparing a road trip, when something unexpected happens and you have to make a quick decision, or when you have to stop an action that isn't appropriate for a situation. Executive functions are important for effectively and successfully organizing plans, running errands, adapting to an unexpected change (if they're doing construction on the highway), and a number of other daily activities that you encounter in your day to day life. Damage to prefrontal structures may cause, among other problems, anosognosia (deficit of self-awareness), abulia (lack of motivation), difficulty sequencing actions, problems dealing with behavior and emotions, cognitive rigidity, etc. A problem with executive functions could also alter the proper regulation of cognitive processes. Poor executive functions may make it difficult to complete daily activities. The most well-known syndrome associated with poor executive functions is called dysexecutive syndrome or frontal syndrome. This syndrome is characterized by diverse cognitive skills, like motivation, fluidity, flexibility, self-regulation, planning, and decision making. This causes disorganized behavior that is poorly adapted to the environment and may cause personality changes and mood swings. This syndrome may be caused by brain damage in the dorsolateral cortex caused by stroke, Chronic Traumatic Encephalopathy (CTE), tumors, or neurodegenerative diseases, like Pick's Disease. Given the importance in daily life, it's important to carry out and assessment of dysexecutive syndrome. Aside from dysexecutive syndrome, prefrontal damage can cause other problems, like orbitofrontal syndrome (which, in extreme cases, can cause a significant personality change caused by damage to the orbitofrontal cortex), or mesial frontal syndrome (mainly lack of both behavioral and apathetic motivation, as well as communicative initiative). Some people also experience problems with their executive functions without having had any type of brain damage, as is the case with dyslexia, dyscalculia, Attention Deficit Hyperactive Disorder (ADHD), or schizophrenia. Executive functions make it possible to correctly and efficiently carry out many daily activities, which is why assessing executive functions can help improve daily life in a variety of areas. Academic areas: Know if the student has trouble controlling their behavior in class, or if they might have trouble organizing the information they've learned. Clinical areas: Understand if the patient may have trouble adapting impulses or emotional states to a situation. Professional areas: Know if an employee will be able to resolve problems and make decisions when necessary. With a complete neuropsychological assessment battery, we can efficiently and accurately assess different cognitive skills, like those that make up the executive functions. 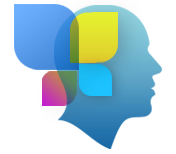 CogniFit has a number of professional tests to evaluate the cognitive skills that make up our executive functions, like inhibition, planning, shifting, updating, and working memory. The tests that CogniFit uses to measure these cognitive skills are based on the classic NEPSY test, Test of Memory Malingering (TOMM), Wisconsin Card Sorting Test (WCST), Stroop test, Test of Variables of Attention (TOVA), Continuous Performance Test (CPT), Hooper Visual Organization Task (VOT), Wechsler Memory Scale (WMS), and the Tower of London (TOL) tests. Aside from executive functions, the tests also measure response time, visual perception, spatial perception, naming, contextual memory, visual short-term memory, auditory short-term memory, short-term memory, recognition, processing speed, visual scanning, hand-eye coordination, and divided attention. Synchronization Test UPDA-SHIF: A moving ball will appear on the screen. The user will have to keep the cursor on the moving ball as carefully as possible. Simultaneity Test DIAT-SHIF: The user has to follow a while ball moving randomly across the screen and pay attention to the words that appear in the middle of the screen. When the word in the middle corresponds to the color that it's written in, the user will have to give a response (paying attention to two stimuli at the same time). This this activity, the user will see changes in strategy, new responses, and will have to use their updating and visual skills at the same time. Processing Test REST-INH: Blocks of numbers and different shapes will appea ron the screen. At first, the user will have to pay attention to the size of the shape and indicate which is bigger. The user will then have to indicate which block has a higher number. Equivalencies Test INH-REST: Names of colors will appear on the screen, and the user will have to give a response as quickly as possible when the word corresponds to the color in which it's written. If they do not correspond, the user will not give any response. Recognition Test WOM-REST: Three common objects will appear on the screen. First, the user will have to remember the order that the objects are presented as quickly as possible. Then, four series of three different objects will be presented and the user will have to identify which is the same initial sequence. Sequencing Test WOM-ASM: A series of objects with different numbers will appear on the screen. The user will have to memorize the series of numbers in order to later repeat them in the right order. At first, the series will be only one number, but will increase progressively until a mistake is made. The user will have to repeat the series after each time the computer presents it. Concentration Test VISMEN-PLAN: Stimuli will appear on the screen randomly and will light up in a specific order (along with a sound). The user must pay close attention during the presentation of the lights and sounds in order to later repeat the sequence in the same order. Programming Test VIPER-PLAN: Move the ball through the maze in as few moves and as quickly as possible. All of our cognitive skills, including executive functions, can be trained and improve. CogniFit makes it possible to with a professional tool. Neuroplasticity is the basis of rehabilitating and improving executive functions and other cognitive skills. CogniFit has created a battery of clinical exercises to help recover deficits in executive and other functions. Like our muscles, the brain and its connections need to be used and challenged in order to get stronger and work better. If you frequently exercise your executive functions, the brain connections and its structures will become stronger as well. CogniFit has a team of professionals specialized in synaptic plasticity and neurogenesis processes, which has made it possible to create the personalized cognitive stimulation program to fit the needs of each individual user. This program starts with an evaluation of executive functions and other fundamental cognitive abilities. With the results from this assessment, the cognitive stimulation program from CogniFit will automatically create a personalized training program to train the user's executive functions and other cognitive skills that scored below the average in the initial assessment.